Puma always seem to be pushing the envelope for a speed boot to be as light as physically possible. 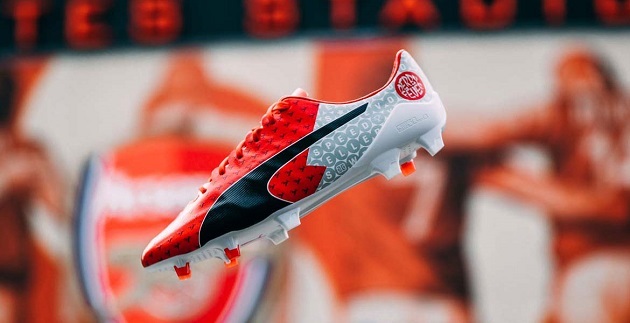 The quest for a mass-produced boot under 100 grams continues, but Puma have attempted to create something so close, it will feel like you are hardly wearing cleats at all. 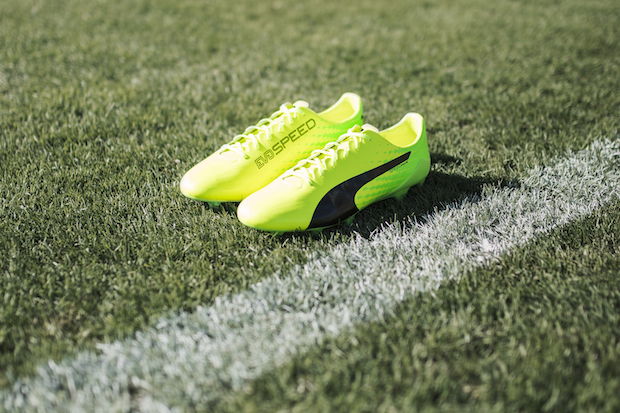 The brand new Puma evoSPEED 17 SL-S is here in a bright new look. The launch colorway is a Safety Yellow/Green Gecko colorway that truly catches your attention when first looking at the boot. The Safety Yellow slowly fades back into the Green Gecko color that makes up the heel area and soleplate. 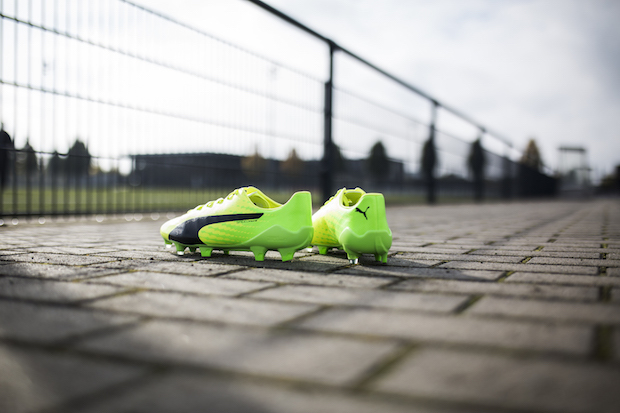 A contrasting black is found on the Puma FormStripe, Puma logo on the heel, evoSPEED branding, and Black SPEEDframe. Puma love bringing out the bright colorways to launch their new boots “officially” after their pre-release Camo versions. The evoSPEED 17 SL Optical was the camo version this time around and it was one of the most stunning launches from the brand for the evoSPEED line. The upper is created from a Japanese Microfiber material that will be one of thinnest uppers on the market. The same SPEEDframe from the previous SL and SL-S remains on the 17 model. Like the saying goes, “if it ain’t broke, don’t fix it”. The nylon outsole still has the SPEEDTRACK spine that helps the middle and heel area of the shoe remain ridged while allowing flexibility in the forefoot. This boot is loaded with all of the latest tech which will be useful for any player, not to mention, this thing only weighs in at 120 grams. Not too much has changed from the previous evoSPEED version to the 17, however the changes made will be beneficial to the longevity and performance of the 17. Added support is brought to the 17 to help keep the boot in tact for much longer. 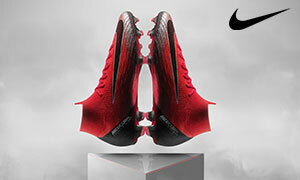 The support balance is visible and looks like strips that will help prevent tearing or separation of the boot over use. This is a much needed feature and one that will help the SL model become an even bigger hit if it can last longer with use than it’s predecessor. What do you think of the new evoSPEED 17 SL model? Is it a step up for the brand? Let us know your thoughts down below!